CABLING HUB core service is the installation of structured cabling for IT and telephone systems in business environments. Projects can range from a small number of network points within a single office to cabling entire buildings, and include the installation of CAT5e, CAT6, CAT6A and multimode Fibre Optic Cable. We offer a full range of wall-mounted and free-standing cabinets. Work can be carried out during regular working hours or out of hours / weekends according to the needs of the client. All installed cables are tested using Industry approved testing equipment which is regularly calibrated, and test results provided to the client as the basis of the manufacturer-backed lifetime guarantee. All CABLING HUB installations are covered by lifetime warranty, ensuring that the cables, jacks and patch panels used are guaranteed to be compatible and have been installed according to Industry standards and that all links have been subjected to the most stringent tests. Nearly every building has a structured cabling system installed these days. They provide the connectivity for all IT netw orking and voice systems and many building services functions such as CCTV and Building Management Systems (BMS). Unfortunately not all are designed as well as they could be. An installation which looks great on day one may be a mess a month after services is connected if the likely interconnectivity is not considered in the design or the cable management is insufficient. All these issues can be avoided with careful design. CABLING HUB skilled designers will plan and design a system to meet your needs. If a project is running on tight timescales then you may want to consider a pre-terminated cabling solution to reduce time spent on site by the cabling installation team. Maintaining control of the cabling system, managing the IT assets and planning for growth can be time consuming in a large network. An Intelligent Infrastructure Management System can make these processes more efficient. Through each of these manufacturers we can provide systems supporting all the main workgroup networking technologies including Ethernet, Token Ring, Fast Ethernet and 155 Mbps ATM, and Gigabit Ethernet. Whether your requirement is for UTP, STP, Blown Fibre or Cat5e, Cat6/A or Cat7/A CABLING HUB will be pleased to survey and define your requirement and provide a proposal. IP networks are becoming increasingly important. Already acknowledged as a key part of any companies IT infrastructure, the advent of IP enabled building management systems, CCTV and access systems is placing greater emphasis on the planning and design of a common network infrastructure for buildings. By considering the total IP networking requirement at the outset of a project there are savings to be made in both the capital (up-front) costs of the infrastructure and the operating costs. There is obviously some concern over placing such a reliance on a single infrastructure to support all these systems and this is where a skilled design team comes into it's own. CABLING HUB provide a full design, installation and support service aimed at ensuring your IP networking implementation performs as you expect it to. 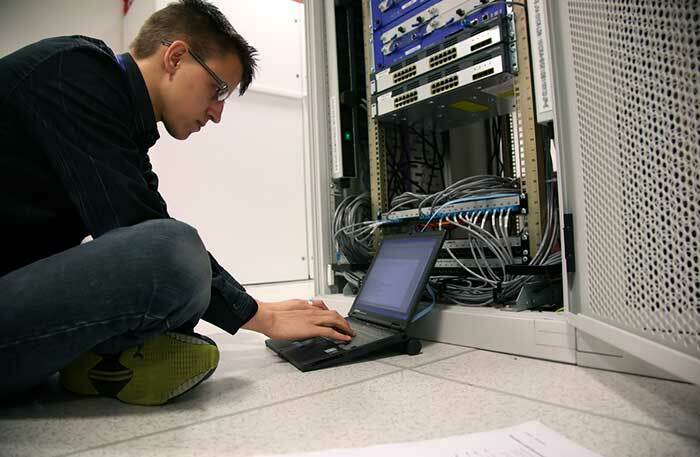 There are many companies who can supply network switches to provide the number of ports needed for connectivity of devices but if you need to plan a multi-services network then contact Cabling Hub to ensure you get a system which will service your needs today and simplify the planning and execution of your future needs. Nearly every building has a structured cabling system installed these days. They provide the connectivity for all IT networking and voice systems and many building services functions such as CCTV and Building Management Systems (BMS). CABLING HUB is specialist in the installation of fiber optics. Our Engineers are trained in the use of our own sophisticated splicing and testing equipment to produce the highest quality fiber optic connections. We have high performance splicing and testing equipment for multimode, single mode and blown fiber to ensure the consistent quality of our installations. We install Fiber Optic systems in Buildings and Campus Installation and in addition we are skilled in the installation of Metropolitan Area fiber links where the crucial issue is the quality of the spliced links. 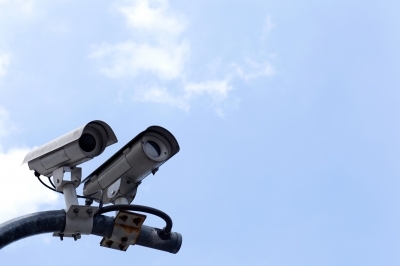 Whether you're looking for a traditional CCTV security system or hoping to benefit from IP technology allowing you to view the security of your premises over the Internet CABLING HUB can provide what you need.